The number of online readers is increasing exponentially each year; so setting up an online library for your customers isn’t actually a bad idea. But what could turn out to be quite disastrous is, if you try to spend a fortune creating a website when you can build one on your own. 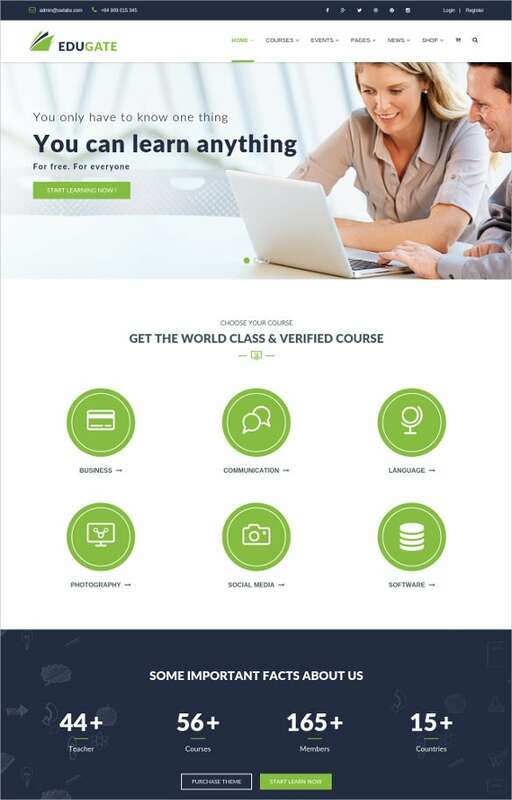 It’s just quite simple; all you have to do is select the right theme from an array of online education website templates, upload the content and setup the accounts for users to register, and take the site online.You May also visit Education HTML5 Themes & Templates. To choose one of the online library website templates from our compilation would be a very wise decision. The templates are readily packed with powerful features and tools that facilitate content management, registration system, account setup pages, security add-ons and lots more. 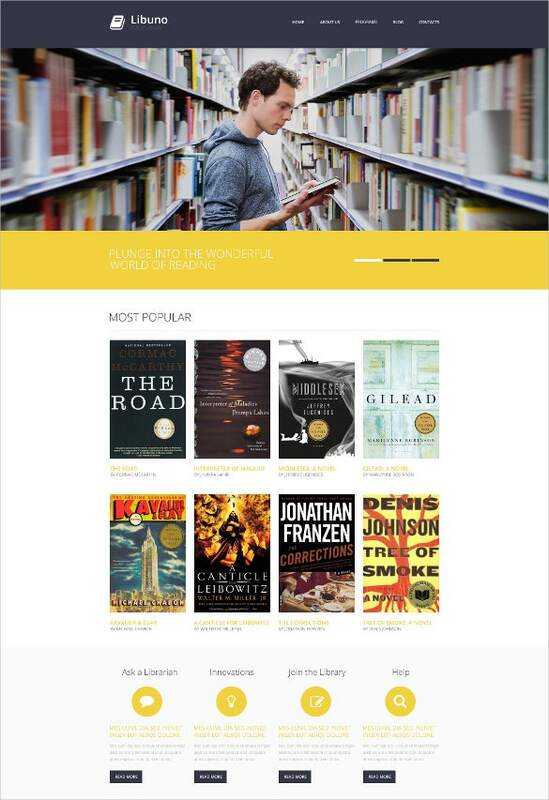 Plus, there’s also a built-in carousel display in the template which shows top-read and best-sellers in your library. 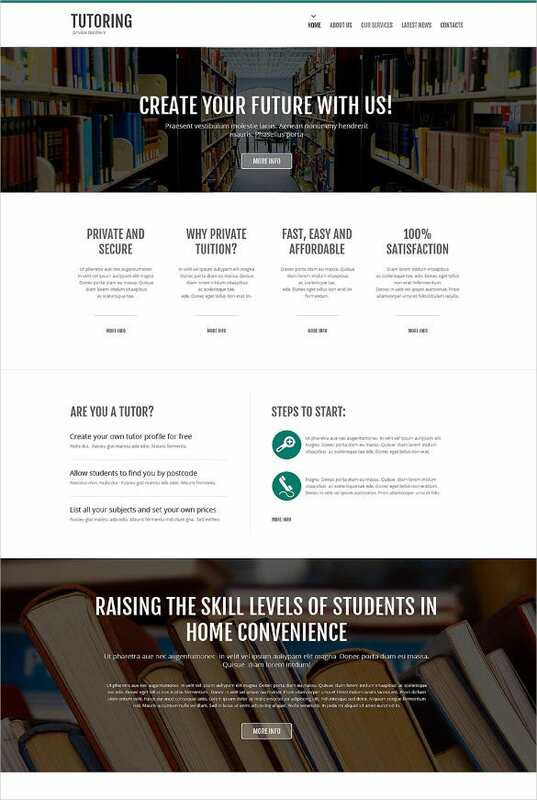 Built with Bootstrap3, HTML5 and CSS3, Library Responsive Website Template is fully responsive and cross browser compatible. It comes with a 2 column layout and integrated Google Map, and is highly customizable. 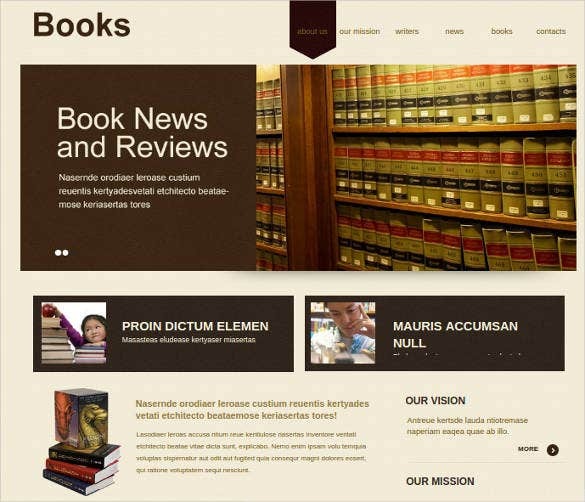 The online books library ecommerce store template is for the ecommerce businesses. With the help of this template one can easily create ecommerce website that is very commercial and impressive. It contains the list of fields to add and many themes, designs, layouts to decorate your website with. The free demo of the template is available to try. you may also see eCommerce Website Themes. 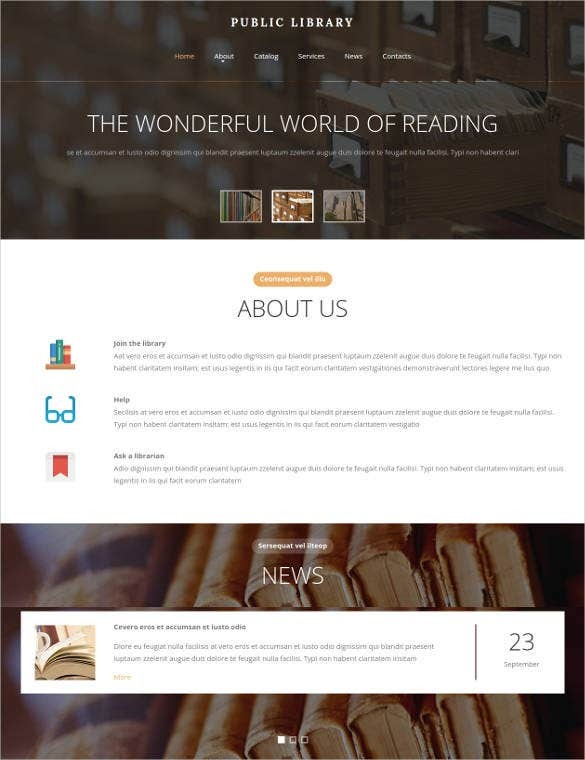 Library Website Template is a cross browser compatible template built with HTML and jQuery. It is based on 1920px width, is highly editable and features a gallery and extra page layouts. 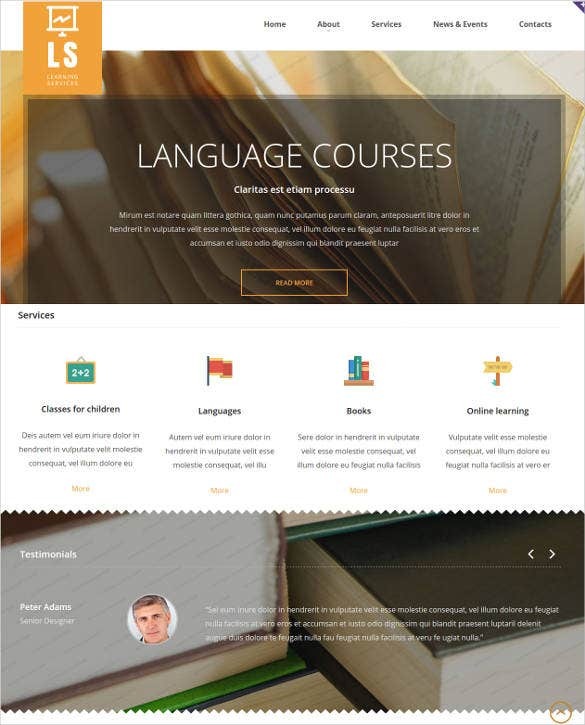 you may also like Education Joomla Themes & Templates. The WordPress themes are very stylish and trendy. There are many online library education templates available. They are very responsive and also easy to manage. They are editable and customizable. The WordPress also has many themes and layouts to attract the users. The digital Library website is quite similar to the online library. The difference is that the titles are also available to access online. Management of digital library is more challenging than the online library. There are many templates available for digital Library which makes the work easier. The codes are short and there are many themes and styles available within each template. 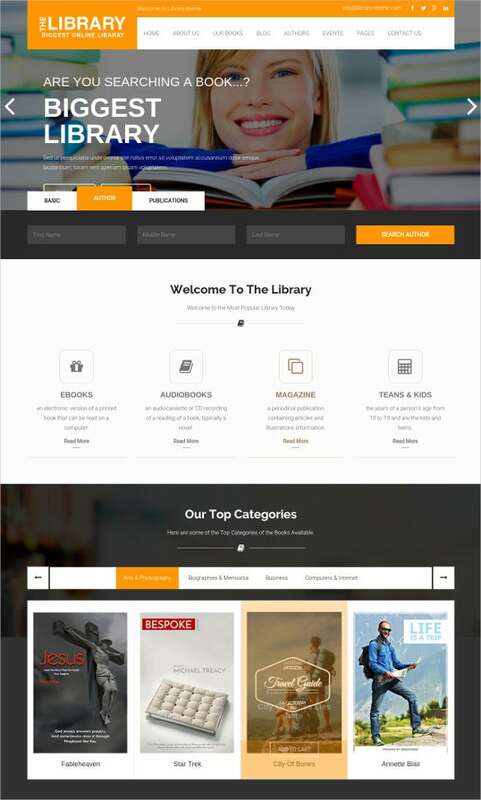 The online library Bootstrap Website Template is the Library website development tool. This template offers wide variety of built in features, customized fields, accounts etc. It is best built with PHP. 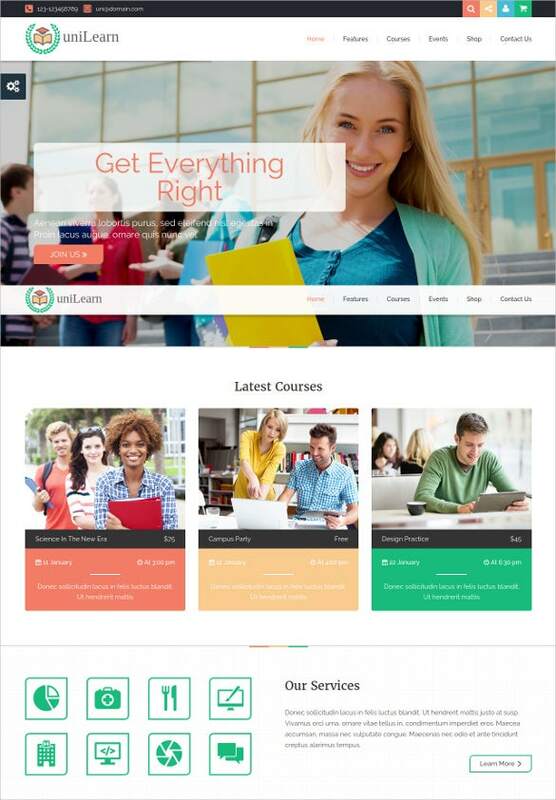 Online Library Learning & Courses WordPress Themes are readily available to use online and offline. There are many free versions that are available to download without paying any penny. The word Press themes are usually very attractive and user friendly. They are also very responsive and fast. These themes are helpful in easily uploading the books details and entering the data. 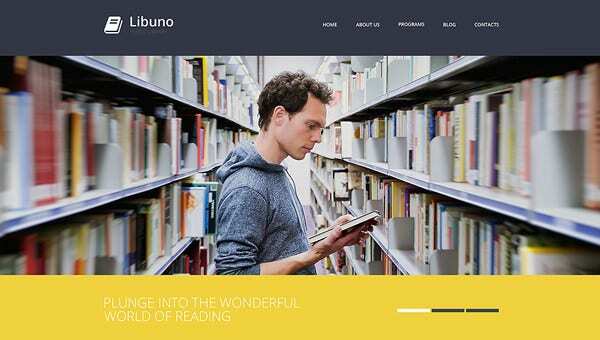 Library Responsive Website Template is a fully responsive and cross browser compatible template with a sleek, modern design. It comes with a 2 column layout and Google Map integration. Also included is a contact form. The online library must contain all the titles names and volumes. It makes the students and staffs easier to access the library faster and easier. 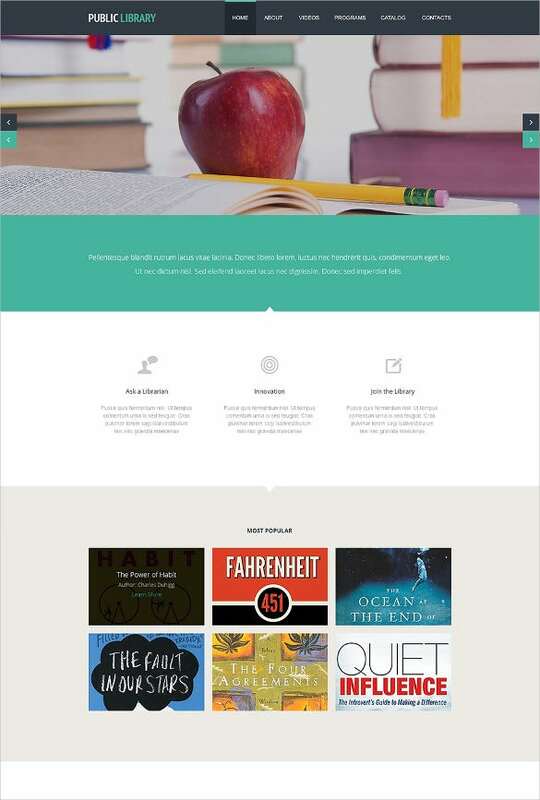 The online library template offers all the features. 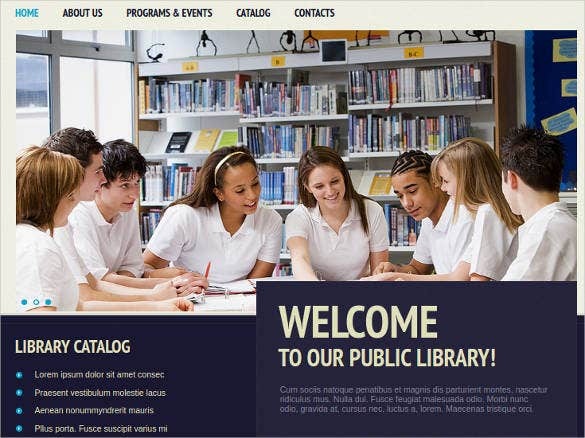 The Library responsive website template is the one which makes accessing the books and titles easier and responds to the users requests faster. It is mobile friendly and consumes less data. The library management websites are built up with CSS, HTML, etc., they provide secure management of the library information. The template has many themes, layouts and features to choose from. The e library Book Stores are becoming popular nowadays. With the raise in the gadgets like tabs and kindle, e libraries and e book stores have become a big trend these days. 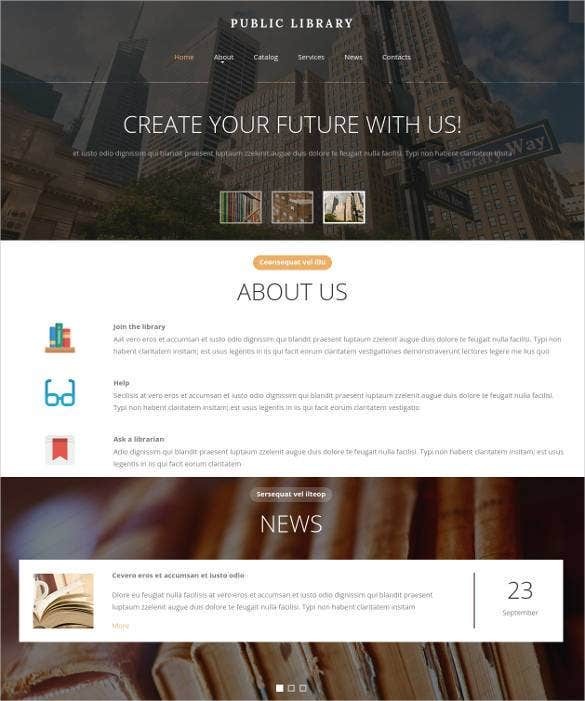 This template is based on the PHP platform and it has very simple coding. It is very to access and user friendly. 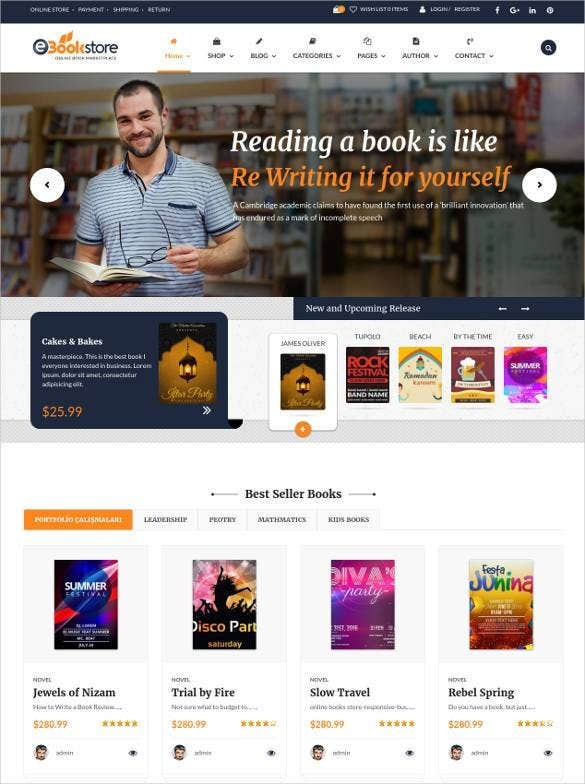 It has many themes like e library themes, book store website theme, etc., The PHP website template has a free demo to try out how it works. A public library contains more number of books than the college library. The website design is very simple so that the people can understand everything hassle free. 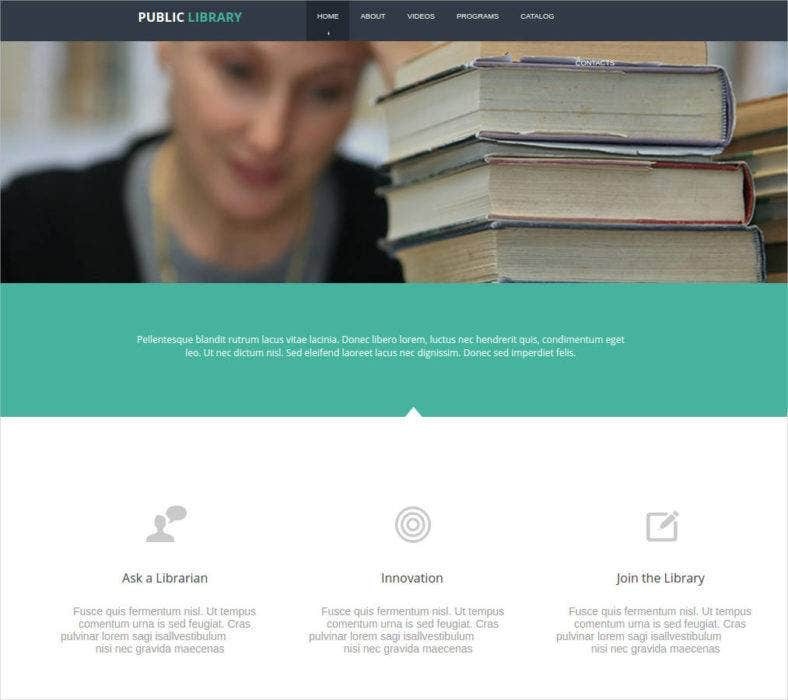 The public library website template handles all the information safely and easily. Now, the best part about the templates is that they have been coded with the latest HTML5 script which makes the sites faster and more customizable, both of which are essential when maintaining a huge database. Also the security plugins that come along with the templates are top notch as well. 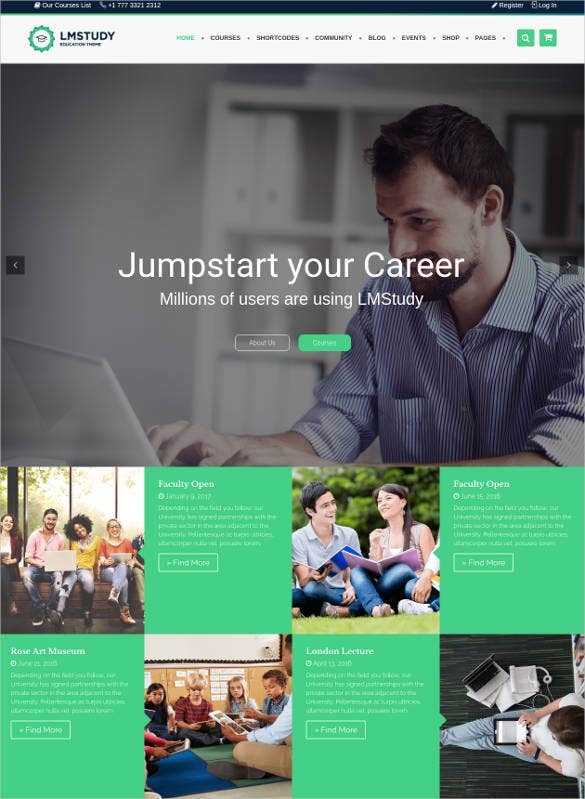 you may also see Top Online Education WordPress Themes. They make sure that only authorized users get access to your collections and prevent piracy effectively. The templates are also responsive enabling them to resize if your readers wish to view web pages in smaller screen resolutions. So go ahead, choose the right online template and spread the wealth of knowledge.